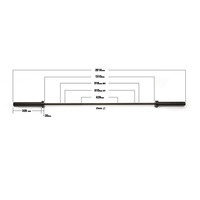 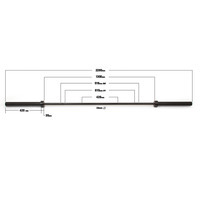 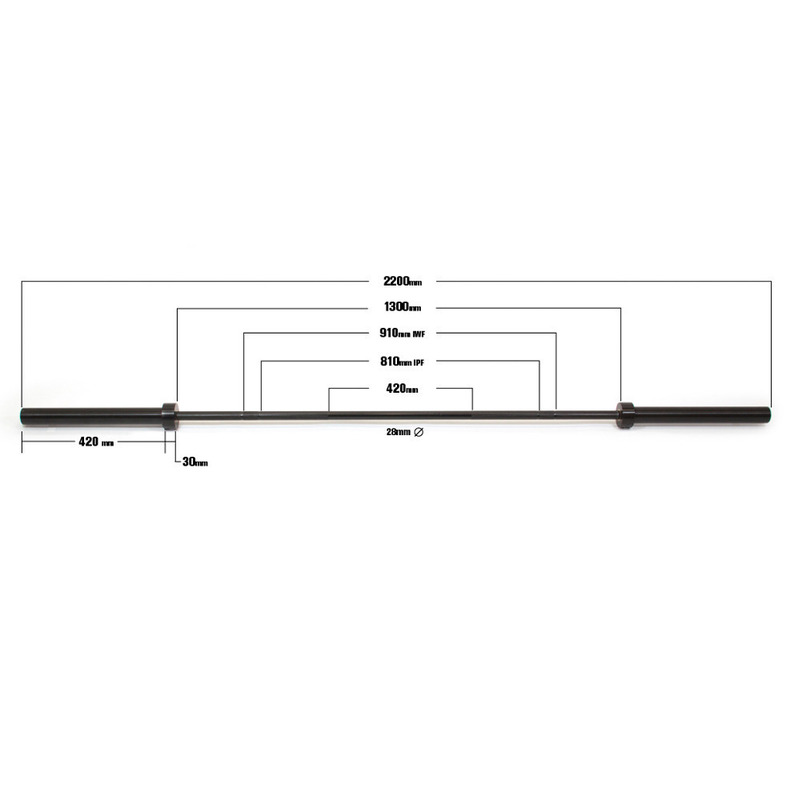 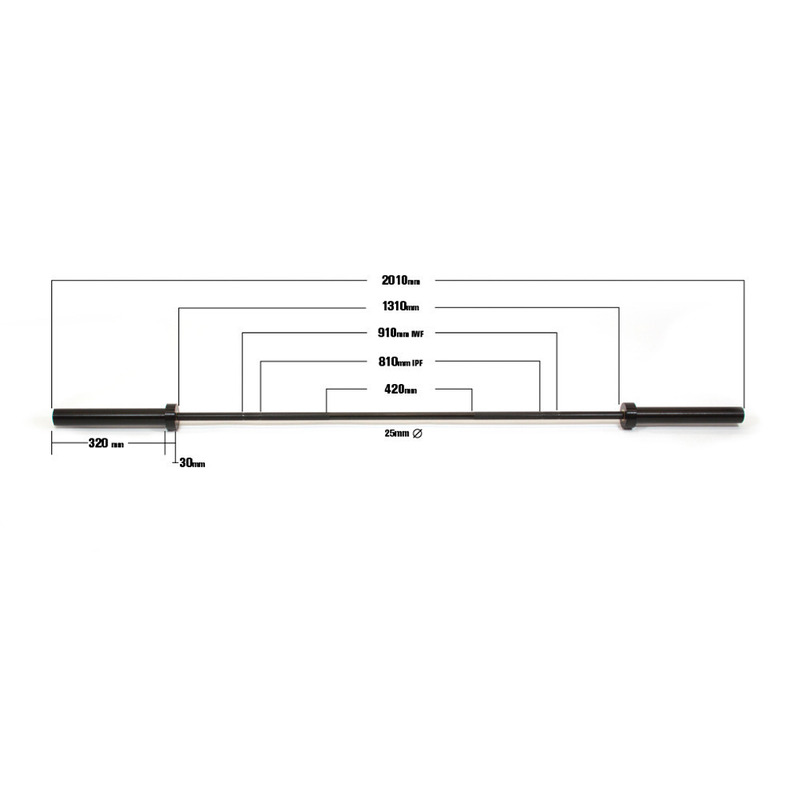 Our goal with the Again Faster Team Barbell was to design a piece of equipment that matches the performance and quality of other elite level competition bars, while making it durable and affordable enough to be an everyday barbell for any athlete or gym. 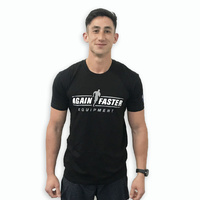 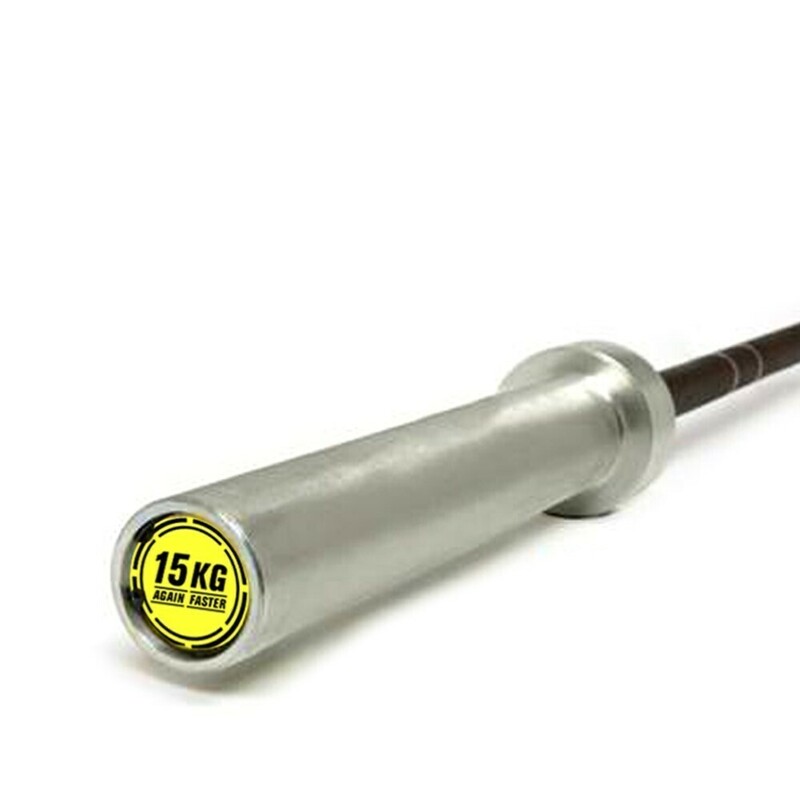 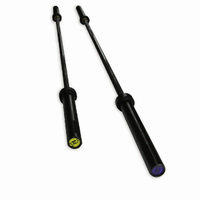 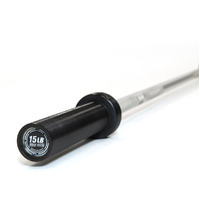 The result is a strong, smooth, and precise barbell that can take a beating and still perform like a bar that costs three times as much. 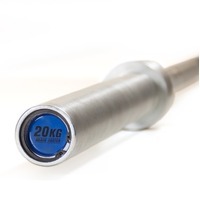 The materials and processes used to produce the Team barbells are comparable to the industry’s elite competition bars, but we are able to offer them at a much lower cost due to an overhauled development process. 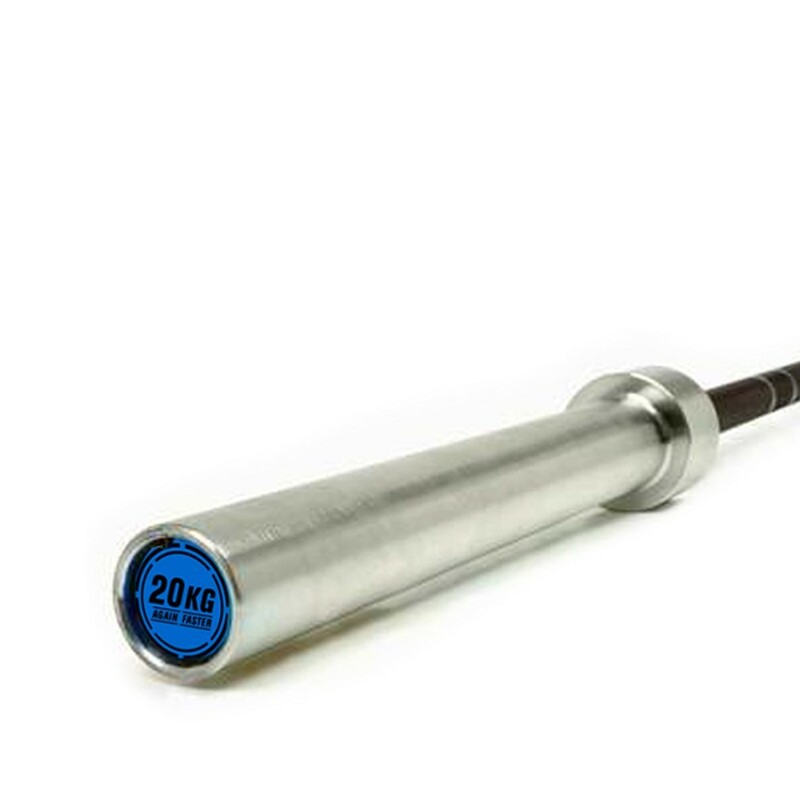 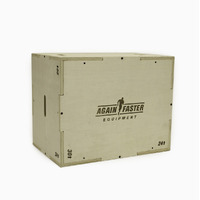 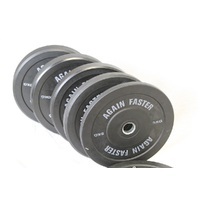 The Again Faster Team Bars have a 209,000 PSI tensile strength, putting it among some of the strongest bars on the market. 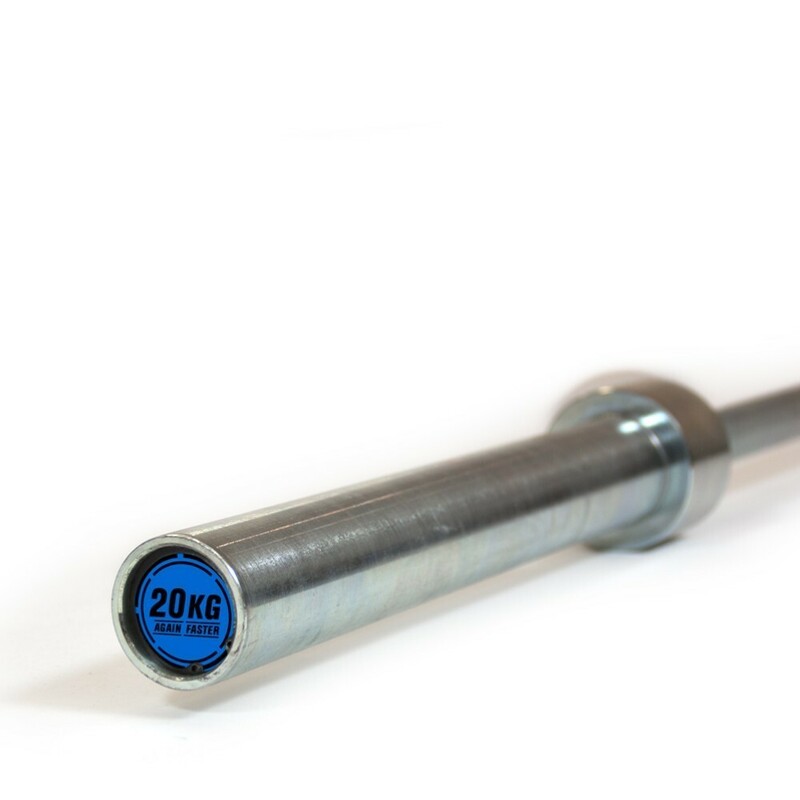 These bars have been tuned to have a balanced flex, making them great for WODs as well as heavier powerlifting and Olympic lifting. 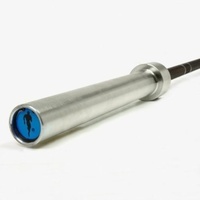 This is truly an all-in-one barbell. 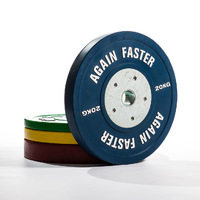 Multiple finish options available, each with 15-kg and 20-kg color-coded end caps. 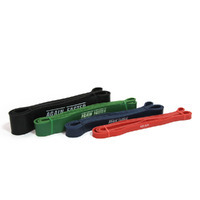 • Collars are secured with an internal horseshoe collar and a pair of external snap rings on the end caps. 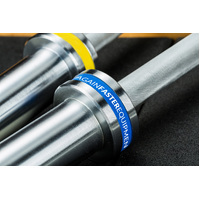 • Mild to moderate knurling provides a secure grip while helping to save your hands during high-rep lifting, and does not have a center knurling.